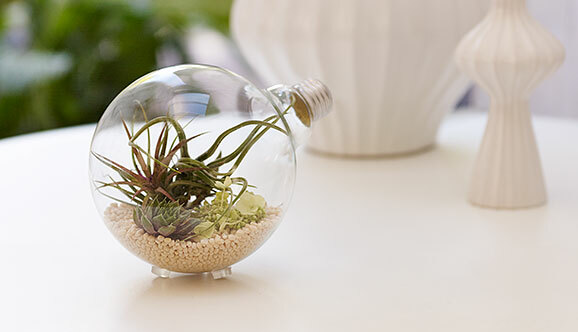 Give a lush look to the interiors of your den with these comprehensive light bulb terrarium how-tos. The eco-friendly projects contribute towards purifying the ambient air owing to the self-sufficient closed ecosystem. 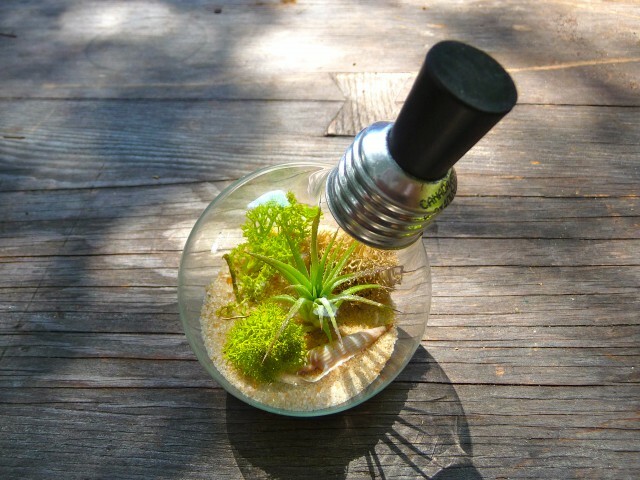 The exquisite looks come as a bonus. A delicate terrarium such as this miniature one would be a delight to keep indoors. 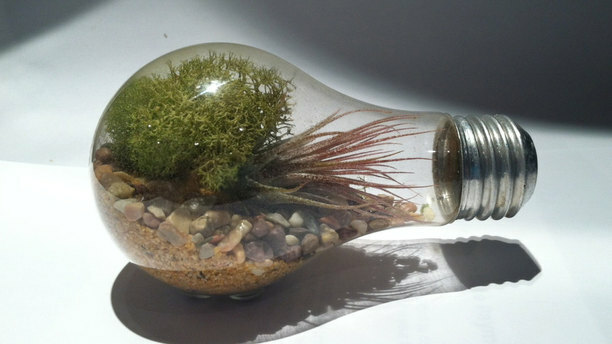 What with the sunlight streaming in through the light bulb giving the plants inside a refreshing breath of life. 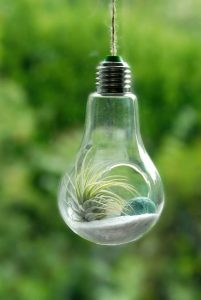 Support a greener Earth within the glass walls of a light bulb that needs minimal attention for plant growth. It would be enriching to watch the tiny plants grow in front of your eyes with every passing day. 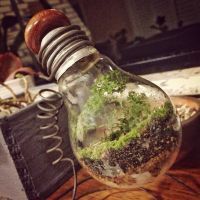 This beautiful environment-friendly tutorial opens by cautioning us against using the wrong type of light bulbs that do more harm to nature than good. 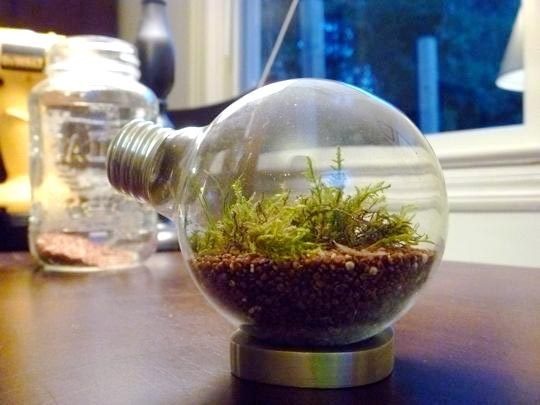 The use of sand or any external support at the base prevents the spherical structure from rolling. 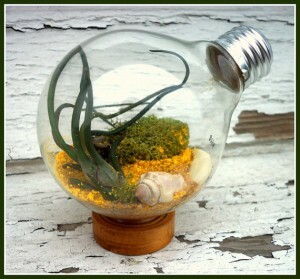 Give a steampunk theme to your homemade terrarium by decorating with the appropriate vintage accessories. 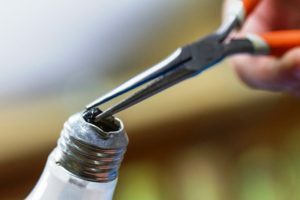 It is important to put in a few drops of water at regular intervals to keep your greenhouse alive and kicking! 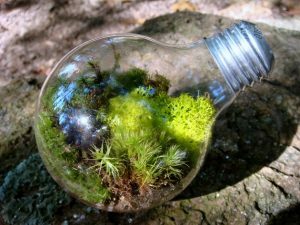 Cleanse the air indoors with this lovely set of 3 light bulb terrariums that you can DIY easily. 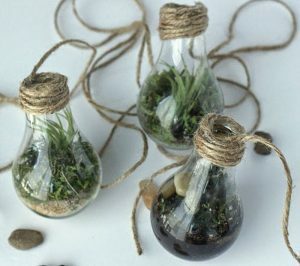 Hang them on your bedroom walls with hooks and twine. 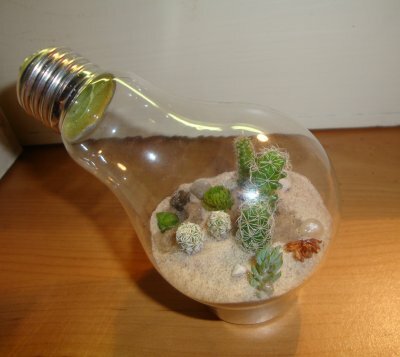 Then you just need to sit back and enjoy the view! This project needs just an old bulb, some crushed rock from the garden and a few tiny plants from the nursery. 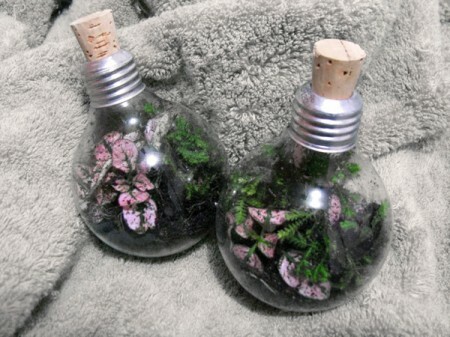 Dedicate only an hour or so and you are done! 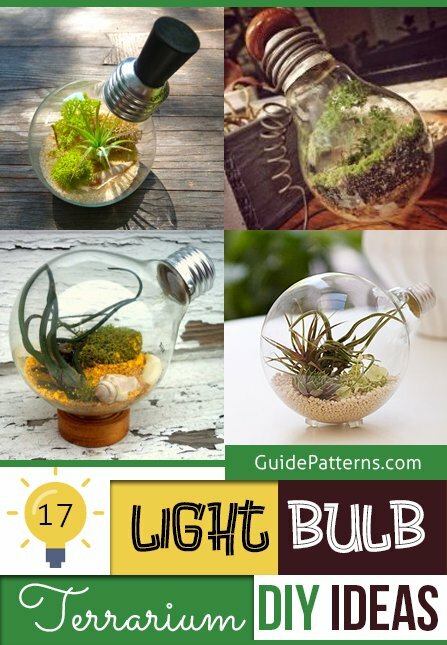 This DIY involves taking out the inner parts of a light bulb globe using tools after breaking the glass of a certain area. Hence, it is important to wear goggles and not allow kids in the vicinity. 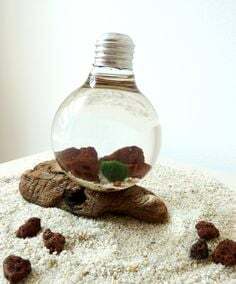 This step-by-step video tutorial shows you how to hollow out a light bulb with the help of needle nose pliers before you fill it up with sand, moss and other decorative accessories like shells and pebbles. Threading a string or twine through the top of a light bulb enables you to make an excellent hanging terrarium. 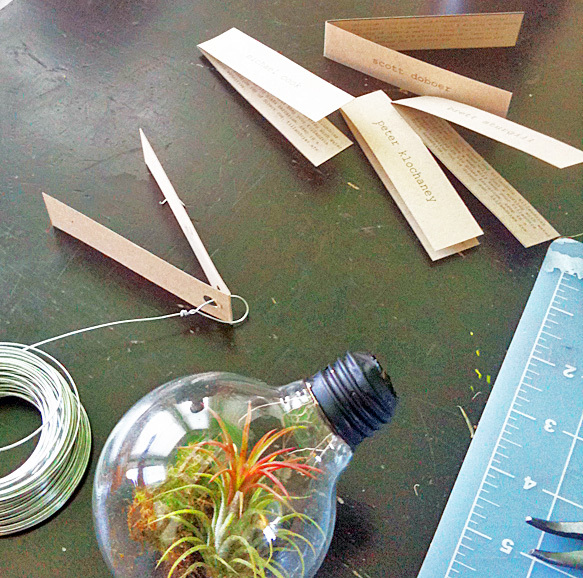 Remember to knot the end nicely lest there is an unfortunate breaking of glass. You will gain a lot of tips from this guide on making a handmade terrarium more colorful and vibrant. Here is a wonderful idea to attach place cards or favors to the top of your own light bulb terrariums turning them into attractive wedding place card holders. 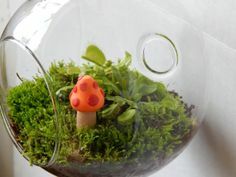 The cute silicone bumpers create stable stands for the globular planters. Tillandsia (air plants) and dry moss form a major part of the greenery inside. 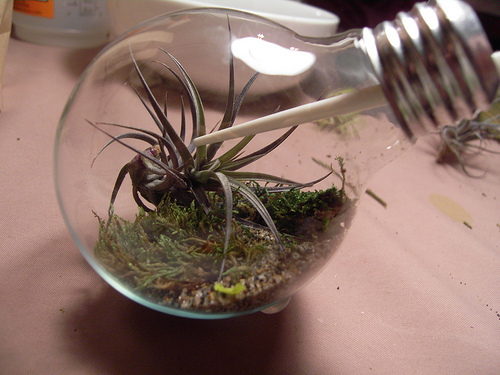 Preserved moss and air plants are the best plants for your light bulb terrarium. 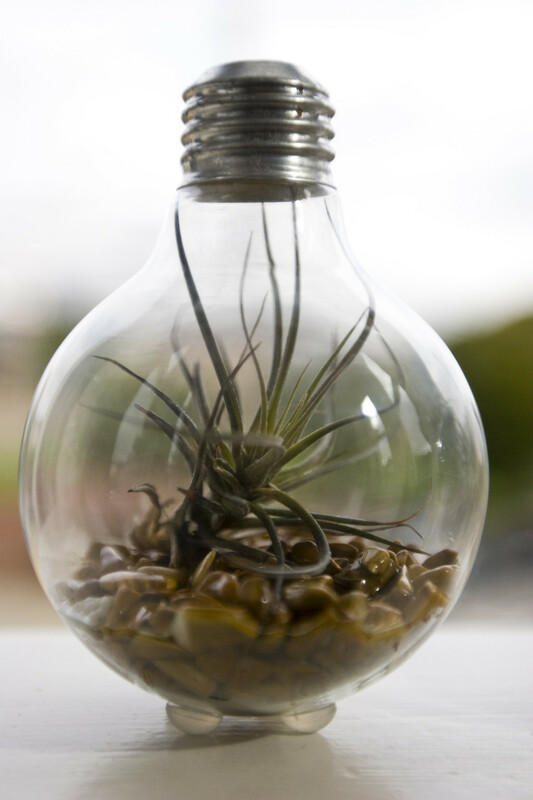 The latter require a scanty amount of water and take the rest of the nutrients from the air. Preserved moss, on the other hand, is non-living but can retain moisture increasing the humidity levels of the terrarium.